Malta Maritime Directory :: Prince on top of the world! Comment about: Prince on top of the world! Prince on top of the world! Carl-Philip of Sweden clambers to top of 30-metre mast at sea. Sweden's third in the line to the throne Prince Carl Philip needed no time to consider when he was challenged to climb to the top of a Volvo Ocean Race boat's 30-metre mast on Sunday - ‘I'll do it,' he said. While his entourage looked on with bated breath, the intrepid 35-year-old clambered up the Dongfeng Race Team rig with barely a downward glance. 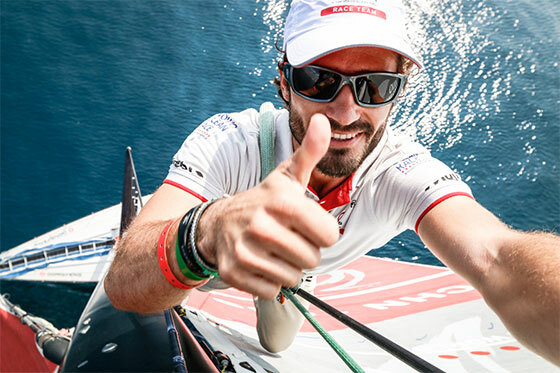 Once at the top, he scribbled a message at the top of the mast, took a ‘selfie' picture and then leisurely joined the Chinese challengers' crew for a pro-am race in which they finished fifth out of seven. "That was a privilege and a unique experience to do this," he said afterwards. "I felt very safe up there, it was good, really nice." One of his aides said that the message, in English, was secret. "You'll have to find out - it's a message only for the brave," he laughed. It was a challenge that would leave most quaking in their boots - especially on a Volvo Ocean 65 boat heeling over at a 20 degree angle while he embraced the climb to the top of the 30.30 metre rig (99.4 feet). That is the height of six giraffes standing on top of each other or climbing about three metres higher than the average telegraph pole. Afterwards, one of his relieved adjutants told us: "The Prince really enjoyed it - he loves challenges. He enjoyed the view." The Prince is the Patron of the Volvo Ocean Race and had spent the weekend in Alicante for its opening, including the first in-port race which he watched onboard the all-women challengers' boat, Team SCA. That race was won by Team Alvimedica (TUR/USA). 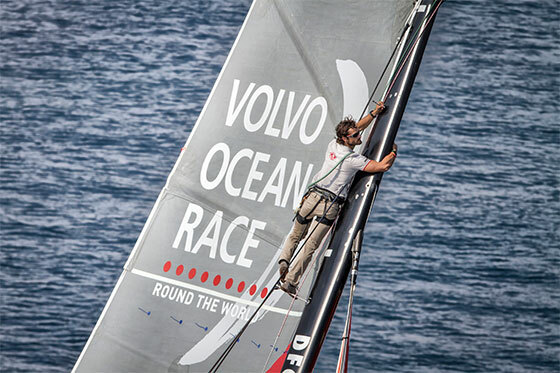 The first leg of the Volvo Ocean Race 2014-15 begins on Saturday, October 11 when the seven-strong fleet leaves for Cape Town. The 38,739 nautical mile race will take nine months to complete and is due to conclude on June 27 in Gothenburg, Sweden.